BOPP film - Buy Product on Tongling Tongfei Technology Co.,Ltd. required. These put special requirements on production process, higher requirements on equipment technology, process technology and production operators, it requires mature experience as well. 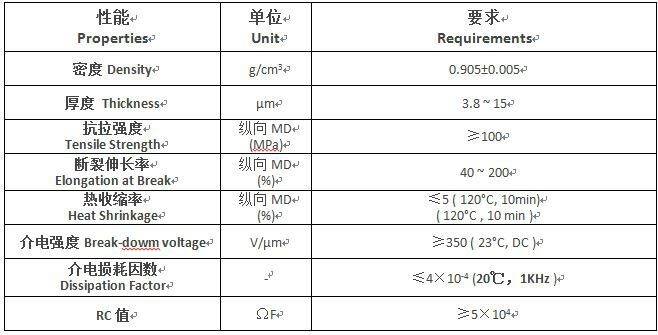 According to different production process, the PP film is divided into MPP, MRPP, RPP, RRPP four categories, among which MPP is divided into 01, 02, 03 three models. MPP：Corona disposal polypropylene film, commonly known as the base film. Surface roughening is increasing the surface roughness of the film, it is through transformation under different temperature by the monoclinic crystalαand hexagon crystalsβand form the mesh concave- convex rough surface on the base film surface.